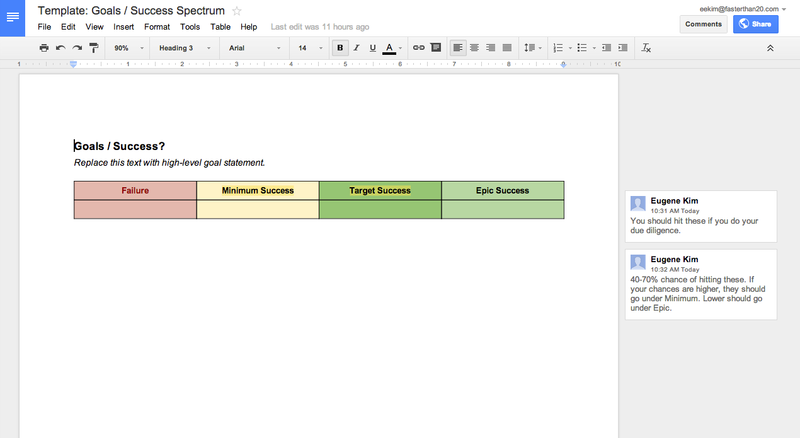 A template for defining good goals and success scenarios. I use this for everything. It’s one of the most powerful tools in my toolkit. The ability to design and facilitate meetings effectively is critical for high-performance collaboration. 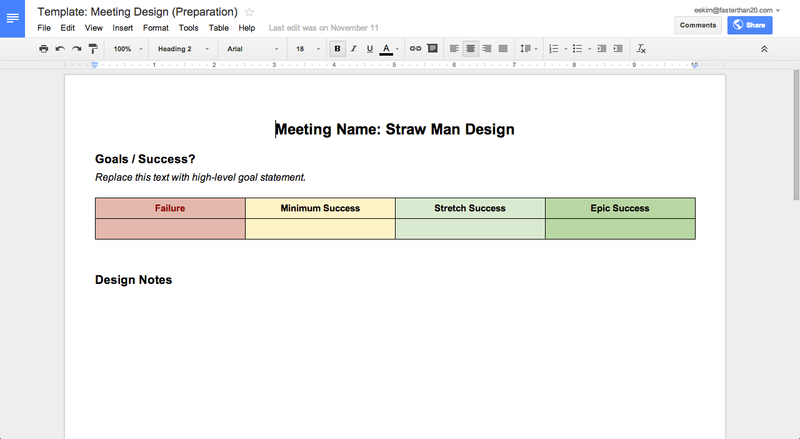 These are the Google Docs templates that I use to support that process. 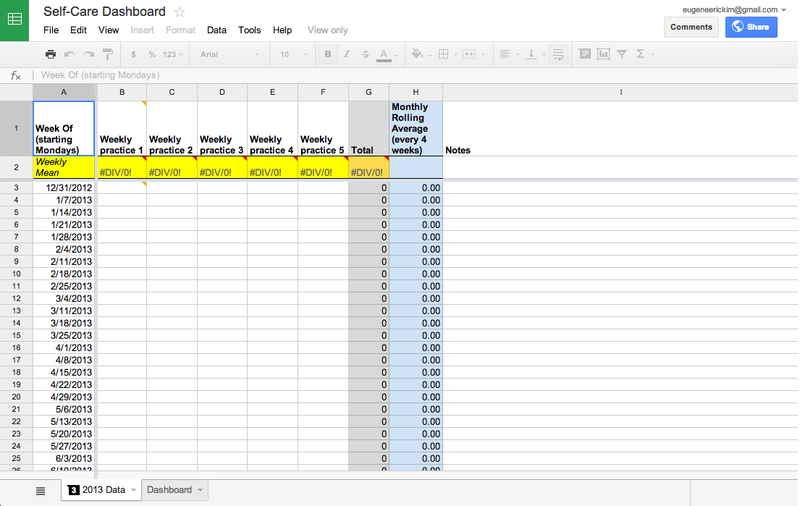 A Google Spreadsheet that I use to track weekly self-care practices.